Our romantic hideaway for two nestled in the heart of the Old Town. 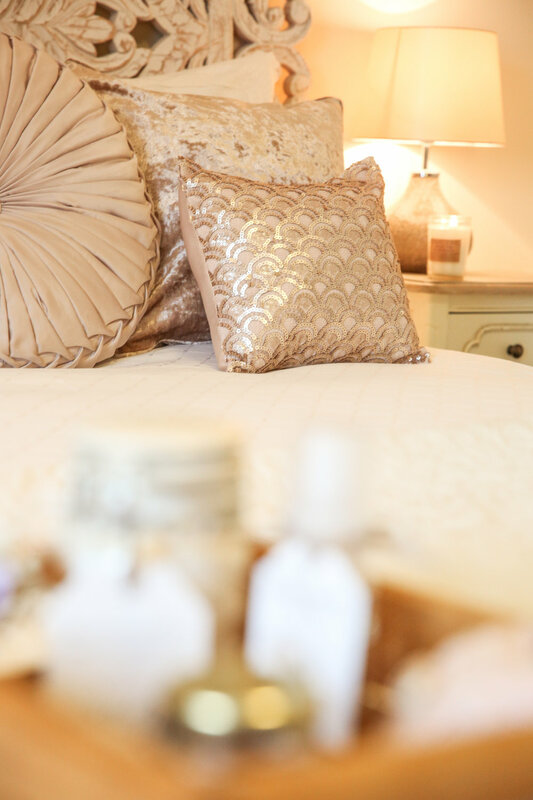 The Dove Loft is our first boutique suite. Hidden in the attic of our historical Old Workshops, the rooms have stunning rooftop views across the East Side of town. Watch the seagulls play and the doves dart between the chimneys. Dream amongst the cloud soft sheets beneath our exquisitely hand carved Moroccan bedhead, lulled by the sound of distant waves crashing. Soak for hours in complimentary organic bubbles in our luxury contemporary slipper bath - the centre of the open plan, light filled bathroom. Sip a glass of something sparkling at the end of a good day's adventuring, on our cushion strewn divans in your own private lounge. 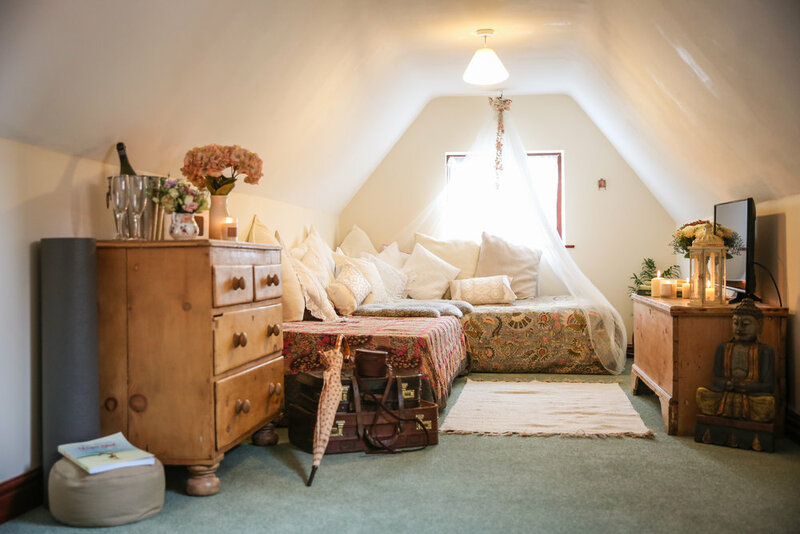 This enchanted hideaway sleeps 2 comfortably, with ample space to relax, and is a great base to explore Whitby's rich history. 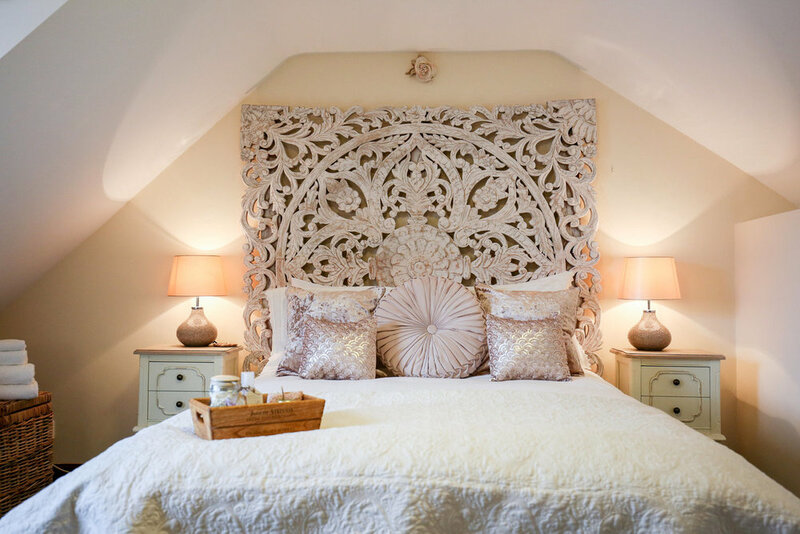 Just 2 minutes from the beach, walking distance from the famous Abbey and with access to our glorious secret garden, The Dove Loft is a romantic's daydream. If you'd like more information, please feel free to get in touch with any questions. Free wifi. Smart Tv. Fresh flowers. Organic bath products by La Eva.